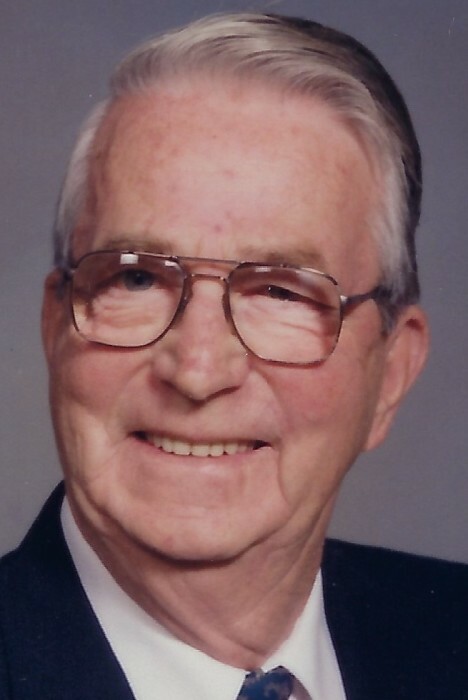 Walter “Joe” Laskowski, age 95, of Erie passed away Wednesday, November 28, 2018 at the PA Soldiers & Sailors Home surrounded by his loving family. He was born June 26, 1923 in Erie, the son of the late Adam and Stella Laskowski. Joe was a Seabee in the US. Navy in the Pacific War of WWII. Joe, along with his 4 brothers (Sigmund, John, Teddy and Leo), proudly served our country and all came home alive. He became a journeyman electrician with the I.B.E.W. Local 56 and worked as a construction electrician until his retirement in 1985. In 1947 Joe married his beautiful wife, Helen (Pavlock) a cadet RN Nurse, and they enjoyed seventy one years together dancing, laughing and raising a family of five sons. Joe and Helen’s were blessed with five sons, nine grandchildren, and seven great-grandchildren. Joe was a very active member of St. Andrew Catholic church where he was the 24 hour “on-call” electrician and a very happy face on the usher team. Joe was a role model of “family first” and pitching in because he and his brothers were always re-wiring and pounding nails to get their family to a better place. Joe was a member of the East Erie Turners, Elks club, Huzar club, Danish club, Zukor club, and was a past president of the Brothers Bowling Association. Besides his parents, he was preceded in death by his eleven brothers and sisters. Joe is survived by his wife, Helen, and their five sons, Joseph Laskowski (Barbara) of Crawfordville, IN; Thomas Laskowski (Carol) of Erie; Lawrence Laskowski of Erie; Daniel Laskowski of Erie; and Robert Laskowski (Patricia) of Rocky River, OH. He is the grandfather of Abby Jackson (Dan), Jamie, Katelyn, Joseph (Jan), Adam, Zachary, Matthew, Jessica, and Anne Marie Laskowski; and is the great-grandfather of Milos, Adeline, Annabelle, Evelyn, Hazel, Milo, and Casey. Joe is the brother of Leo Laskowski, Robert Laskowski (Jean), and Loretta Balkovic and is further survived by several nieces and nephews. Friends are invited to call at the Quinn Funeral Home, West 9th & Liberty St. on Sunday from 1:00 PM until 5:00 PM and are invited to attend Prayer Services there Monday at 9:30 AM followed by a Funeral Mass at 10:00 AM in St. Andrew Catholic Church. Burial with military honors will be in Gate of Heaven Cemetery.